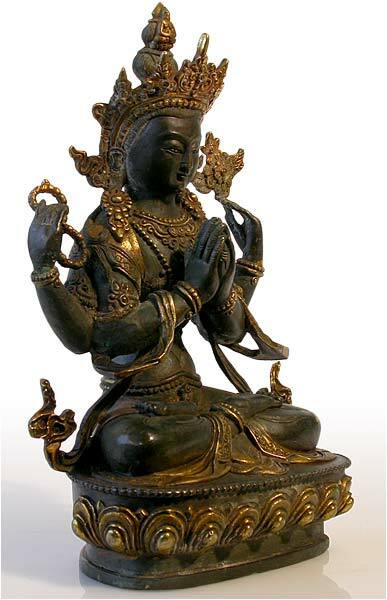 A finely cast and finished Tibetan bronze, with a dark patina of age against which the gilding stands out brilliantly in the crown, the embellished hemmed robes, attributes and ornaments, with hand chasing in the details of the face and hair and the scrolled patterns on the robes. 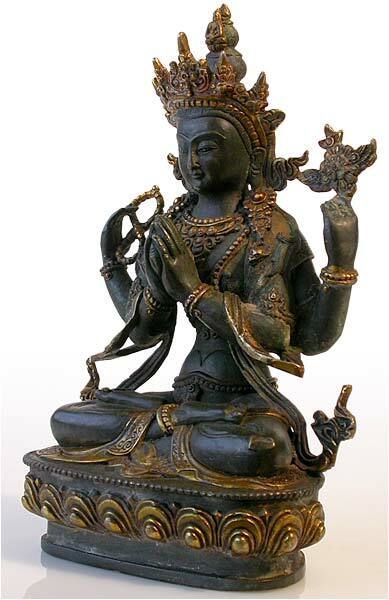 Black in color with patina of green and other mineral deposits. 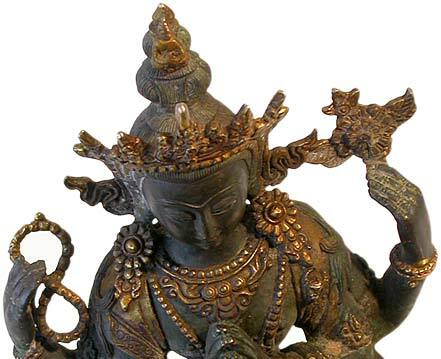 Avalokiteshvara embodies the compassion of all Buddhas and is the most widely revered bodhisattva in Buddhism. 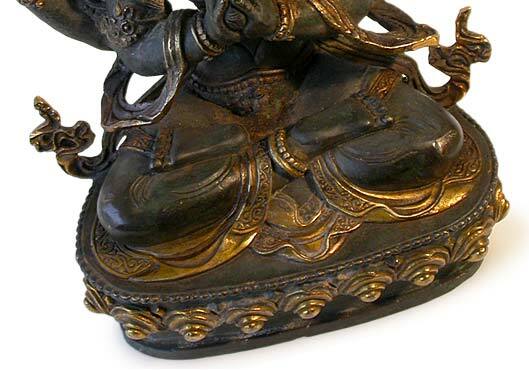 Tibetan Buddhism also relates him to the foremost mantra, the six-syllable Om Mani Padme Om; thus he is also called Lord of the Six Syllables. 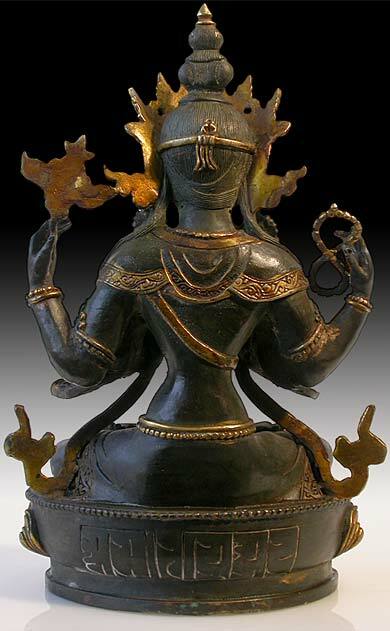 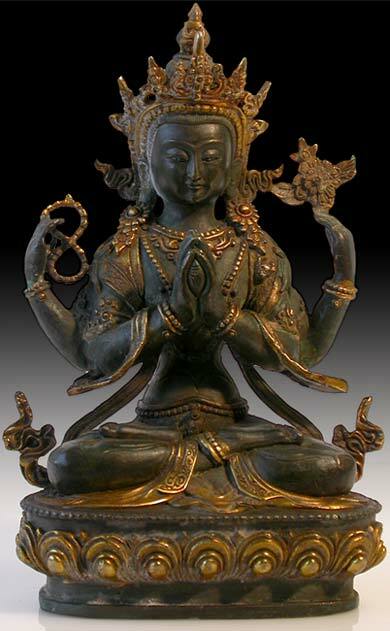 According to Mahayana doctrine, Avalokiteœvara has made a great vow to postpone his own Buddhahood until he has assisted every being on earth in achieving nirvana.